The open-air mining frame is made of Anodized Aluminium, so it is super strong and lightweight. The frame dimensions are 22 x 16 x 12 inches. 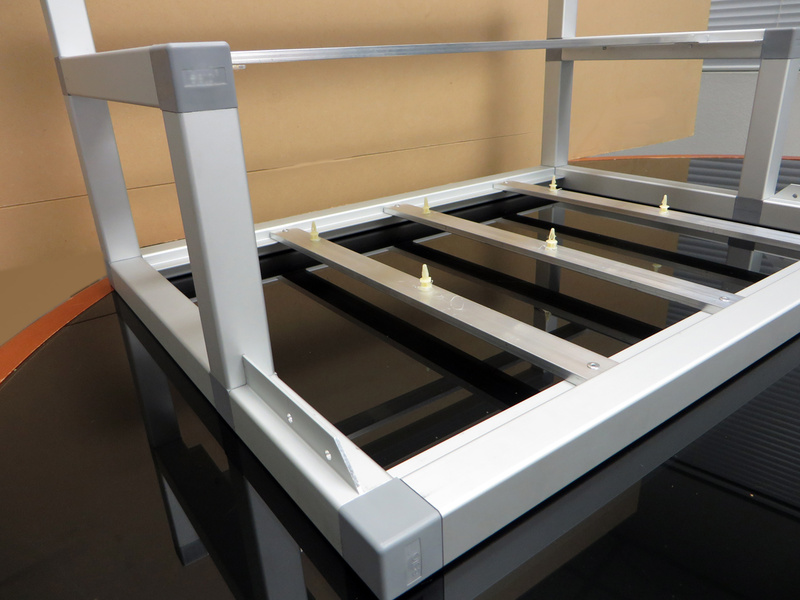 Pre-assembled in our shop. Holes predrilled as pictured. For advanced users only. Attach your motherboard with standard M3 1/4inch screws and your risers with #6 1/2inch screws (not included). Nothing else included. Pictures of GPUs and other products are for reference only. 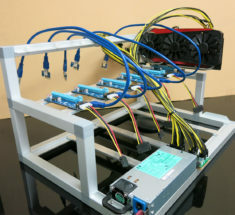 For use with GPU mining server power supply kits. Is this going to be available soon? I don’t want to buy from somewhere else only to find this is in stock tomorrow or something. Do you have the auto notify feature available for this product so when it does become available in stock we can get the email? Thanks however the auto notification option is not there. 🙁 I tried Firefox and ME while logged in and it does not show up. Joseph, just want to clarify again that the option is not there. Whenever you post a new discussion it seems that the comment floats to the top of the screen and it is not until you refresh do you see it at the bottom of the thread. Ignore the comment below where it says “Scratch this question……..” I cannot delete the comment either. So it stands that that the option to get the auto notification is not there. Scratch this question, I did not see it go to the bottotm of the screen. Hi there, I noticed from a review that you don’t pre-drill holes in these anymore (due to some people complaining about fitment.) Is there a way to custom order one with predrilled holes if I told you what gpu’s I’d be using? And a side question: will you ever release a stackable version of this? 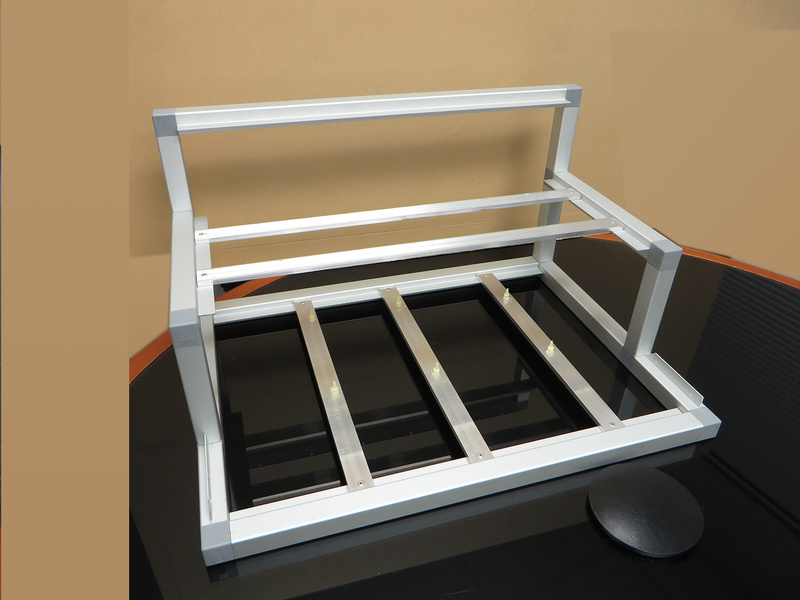 On the new design with the stackable option can you also include the front bar where you can mount the fans just like you have in the 12 GPU model. Some folks may not use fans but it would be great to have the bar there already in case one wants to put the fans in the front. @Digidim, I was told the bar is available at an extra charge but you probably need to e-mail them. Is there a way to attach additional cooling fans? I realize there isn’t anything setup for the fans to mount to, but perhaps there’s a workaround solution? Any help or guidance is much appreciated thanks! Thanks for the quick response! Unfortunately that is not an option as I already own the aforementioned case. Would I be able to maybe just use self-tapping screws or some similar option? I’m open to ideas — thanks! 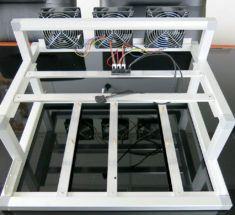 Then from there you can figure out the best way to mount the fans onto your rig for additional cooling. The simplest way would be to use zip ties that way you don’t have to drill any holes onto the rig. First class, heavy duty, these frames are quality!!!! LOVE this rig frame! Have to put it together when you get it (hammer required), but it’s solid! I look forwarding to getting more of these in the future. Buyer beware: Don’t expect your case to ship any time soon. I ordered my case on May 21st (17 days ago when the price was still $117), and the tracking number I received still says the item hasn’t shipped. Now mind you, I already paid and nowhere on this page does the item mention being on back-order or that there is a 2+ week turn-around time. Have emailed with Joseph multiple times, but still no product. The frame was in stock at the time of order placement (fifteen days ago). Received a shipping label two days after ordering but the case has yet to actually ship. Kevin, please provide me with your order number so I can look into the order. Comment noted and will provide holes in the future. Thank you. I am disappointed that the pictures of the product do not accurately represent the product shipped. There are no holes at the top to screw in the GPUs. The whole point of getting something like this is so that I don’t have to go out and get a drill and drill holes. Can I get a new one shipped? Would be a good rig if you can keep the price close to 100, not jump it to 200 when ever you want you would have double the sales. Will a 2400W PSU fit this rig? I really wanted to give this 5 stars but the odd configuration of holes on the right side does not support a 2nd PSU like pictured in the REV3 cooled 12.1. It’s very disappointing to find this after waiting 3 months. 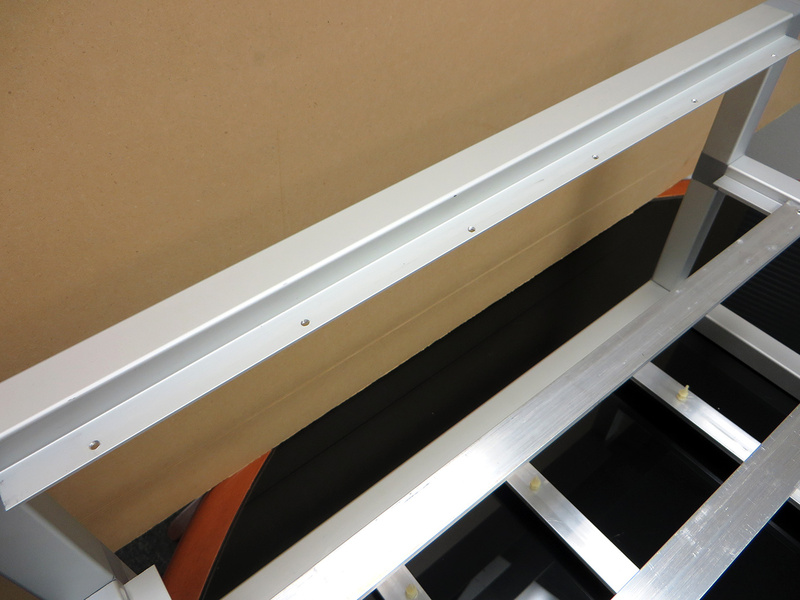 It would also be helpful to list the depth of drilling so that the customer can order the M3 screws in advance. The mobo is standard M3 1/4 but the rest are more like M3 20mm that your local Lowe’s or Home Depot doesn’t carry. With that being said, I really like it and I would order again if I could have it drilled to fit a 2nd PSU and a small cutout so that the power cord fits on the right side. 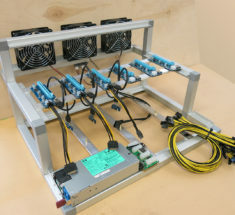 Aluminium 6.1 GPU Open Air Mining Case W/ 6 USB Risers + (1) 1200w PSU KIt - ETH, ZEC. Preassemble in our shop with a genuine 80+ Platinum 94% efficiency 1200 Watt Power Supply Kit. 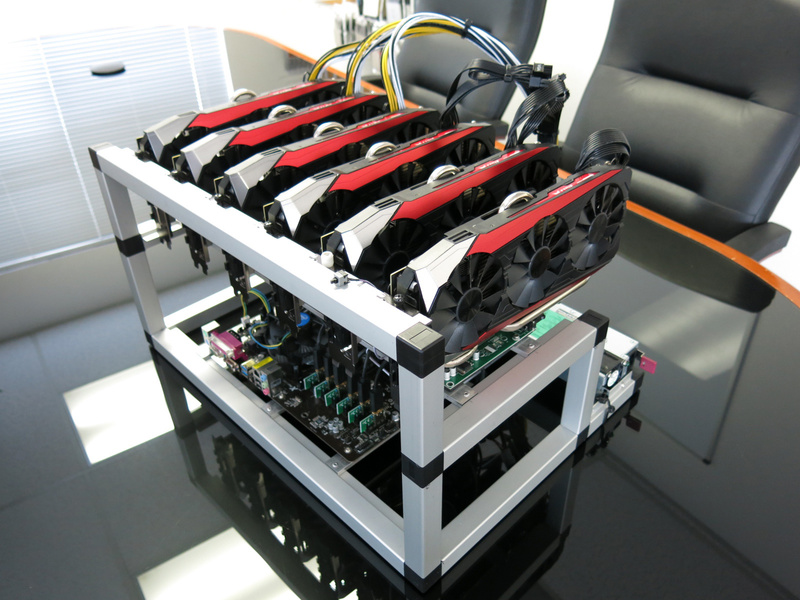 The power supply is intend to independently power up to 6 GPU.